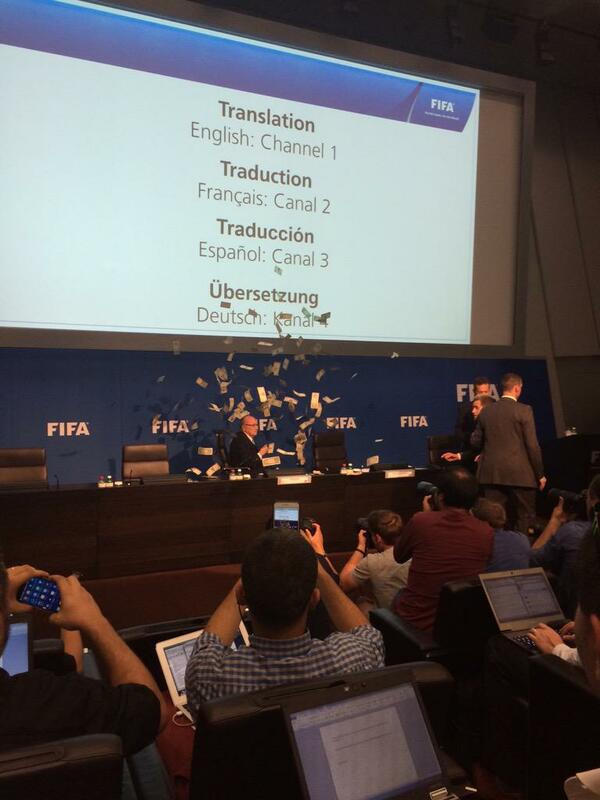 Blatter has money thrown on him by a comedian. This is a video that will go around the world. Monday, during the FIFA press conference, an English actor named Lee Nelson (whose real name Brodkin) has invited the cameras and Sepp Blatter débriefait the executive committee. The stewards took a little time to intervene while Blatter demanded his intervention with concern for several seconds ("Where's my security?"). Before leaving the room, the Swiss responded: "We'll have to clean it or I will not be able to express myself. This is not acceptable, this has nothing to do with football. We are here to talk football. I must therefore postpone the press conference. " During that time, Nelson was done under the eyes take ahurris journalists and officials were trying to prevent additional photos. Lee Nelson is a specialist in "happenings" of this kind. In 2013, he was inlaid on the lawn of Goodison Park Everton during the warm up, before a face encounter at Manchester City. This year he had a "guest" on the stage of the Glastonbury festival during the show Kanye West. 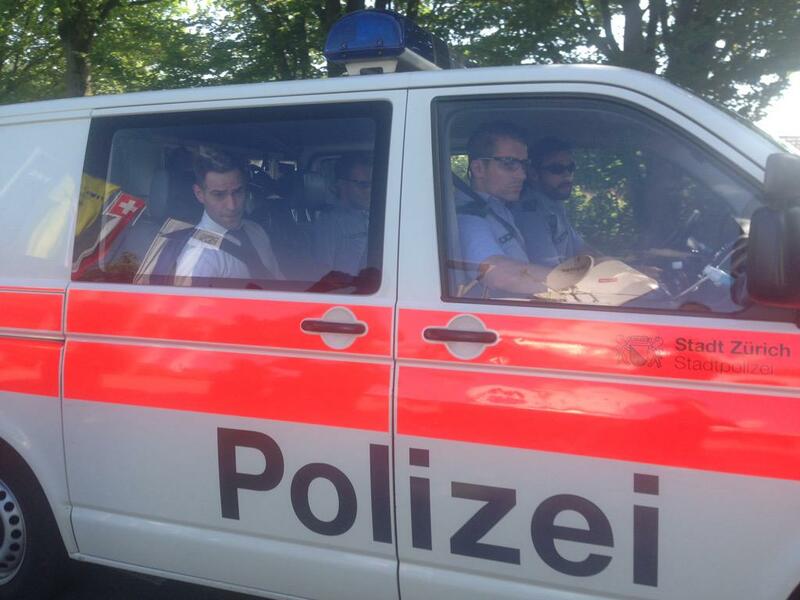 Taken by the Swiss police after the prank. Swiss police probably congratulating him.. It takes some courage to do that on a live press conference, we dont have many comedians like this around. lolll, lock that guy up already. But, sadly, he might even be back. Platini is next 99% sure. Interesting . Why not Euro bills or British pound or swiss francs ? That is so inconvenient . That is why Blatter was pissed .